There are lots of business cards types. 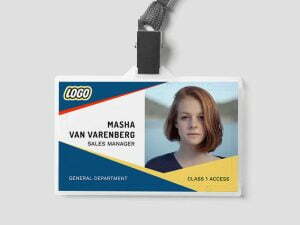 MakeBadge lets you make custom business cards online for free no matter what business card design you prefer. Basically, business card creation is divided into 3 main stages: design, writing and proof-reading and printing. The process is easy. The video tutorial explains how to create business cards step by step. Watch the video and take advantage of all opportunities that our badge maker gives you. First start with an inspiration, and then select a business card design template. The next step is to customize design of your card, so it perfect emphasizes your business identity. Choose card layout and background color, upload image or logo, write name, title and contacts. After that check all details to make sure the spelling is correct and contact phone/email are right. The next step is to save your business card and view how it looks like when it’s printed. And final action is to click the “Print” button and print as many business cards as you need free of charge. Now go to MakeBadge business card creator and make printable business cards online at no cost! Business Cards Sizes and Types 2018. Everything you need to know.